Going to cast your vote on polling day should be simple. But for Dave Morton, who has a learning disability, it has always seemed an intimidating experience. That's why he has never voted before. 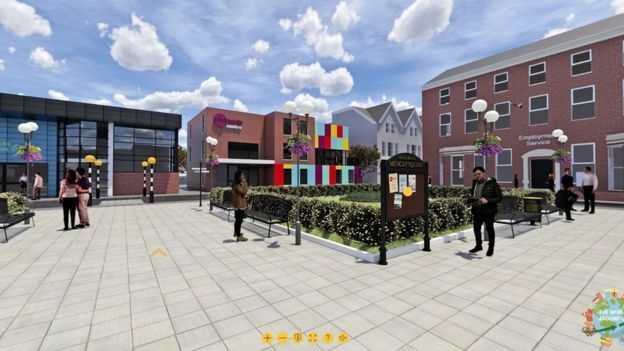 But thanks to virtual reality technology, he and others have been taken through the entire process in time for next month's council elections. 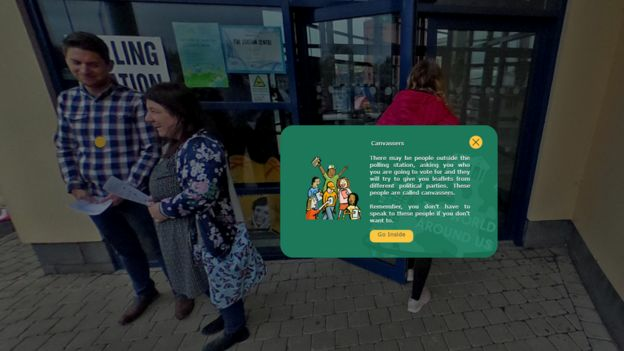 The learning disability charity Mencap has been working to create a scheme to ease anxieties that disabled people might have about going to the polling station. It walks users through everything, from explaining what canvassers are to showing them how to mark their ballot paper. Mr Morton told BBC News NI he "never had the confidence" to go out and vote, because he found the environment too unfamiliar. However he is determined to vote this year and said being walked through the ins and outs of a polling station had really helped him. "Other people probably don't realise there are people with disabilities who do need help and support," he added. The deadline to register to vote is Friday 12 April, ahead of the council elections on 2 May. Mencap is hoping the new project will encourage more disabled people to get on the electoral roll. Its director in Northern Ireland, Margaret Kelly, said disabled people faced "many barriers" in society that most people take for granted. "People with learning disabilities are often excluded in so many ways," she said. "For me, voting is one of the most basic rights in society and and one of most basic ways of being included as a citizen." She said research carried out by the charity in 2014 suggested that only 26% of people in Northern Ireland with a learning disability had voted. There are also concerns that some disabled people have been excluded from voting by turning up to a polling station, and not having enough support to help them cast their vote properly. "We want to give people the tools and resources to help them vote. We should help people with a learning disability feel a bit more important in our communities," added Ms Kelly. The technology is not only for first-time voters. It's also hoped disabled people who have had to rely on carers or parents to help them vote before, might feel confident enough to vote independently next time. One of those hoping to do that this year is Christopher White. He said his mum had to help him cast his vote before and that he had always found the process "confusing". "It's very important to me to be able to vote," he said. "People with learning difficulties are human beings too, sometimes people only see the learning difficulty - they don't see the person." The Electoral Commission has also helped Mencap draw up a guide, in an easy-read format, to explain the process of voting. So what's the verdict from those who have tried it out? Mr Morton said he would encourage other disabled people to test out the technology, and use it to get rid of any worries they might have about voting. "They have the right to go out and vote - every vote counts."